Thirty-six albums into his solo career, with another dozen Van Der Graaf Generator discs, and a whole heap of live-and-otherwise too, it’s always surprising when a new Peter Hammill record appears, and you realize that he has still to start repeating himself. Of course, you know it’s Hammill from the start. The voice alone is so uniquely distinctive that even when it starts its signature gymnastics, you’re not going to mistake it for somebody else. “Ah, I see David Bowie’s found a new way to tighten his trousers,” for example. But he writes and records at such a breathtaking pace – and here, let us pause to reflect that those forty-eight albums bridge forty-five years, a pace that would probably kill most of today’s active artists – that he could surely be forgiven if he forgot, once or twice, that he’s already broached that subject, tortured that chord, echoed that melody some place else. For the rest of the bio and the interview, please visit the Goldmine website! 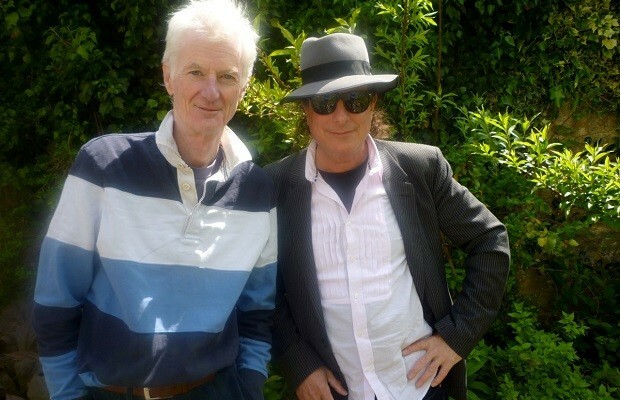 This entry was posted on Wednesday, March 5th, 2014 at 22:20	and posted in Interview, Peter Hammill & Gary Lucas. You can follow any responses to this entry through the RSS 2.0 feed.